with memorial day weekend quickly approaching, i’ve been pulling out all my salad recipes and am reminded of all the great ones i have! 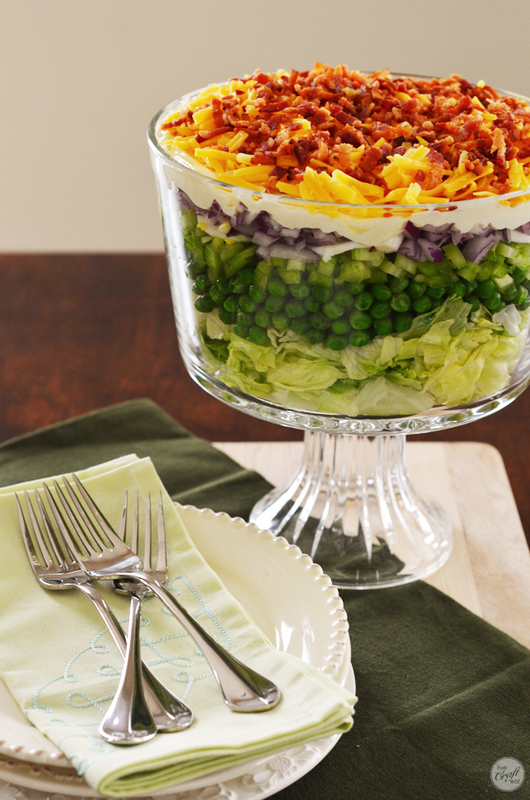 and while a 7-layer salad is something that most people have probably either made or eaten before, it’s definitely one worth keeping around because a) it looks so pretty with the rainbow of colors so neatly arranged, b) it is super refreshing with all the fresh, crisp vegetables, c) it has bacon!, d) it just tastes so, soooo good!, and e) it is quick and easy to put together. and if you get everything prepped first it really is just a cinch to put together. 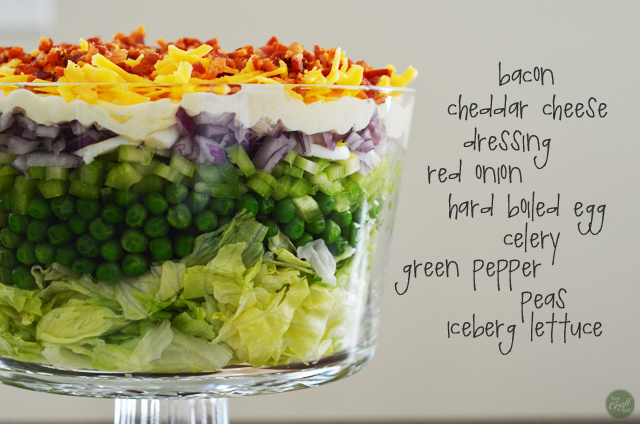 all you need is iceberg lettuce, frozen peas, green pepper, celery, red onion, bacon bits, hard-boiled eggs, cheese, sugar, and mayo. keep in mind the size of the dish you’re using. my trifle bowl is a little bit on the small side and while i was able to fit everything else in, i did leave a cup or two of lettuce out, just to be on the safe side. 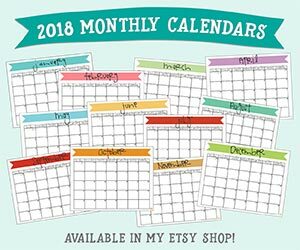 but if you have a big bowl, then by all means, throw it all in! also, i am usually an onion-hater, especially when they’re raw, but i love the red onions in the salad. they can be a bit overpowering if you really, really don’t like onions so consider putting in less if you don’t love them (as in put 1/2 to 3/4 of the onion in the salad instead of the whole thing). 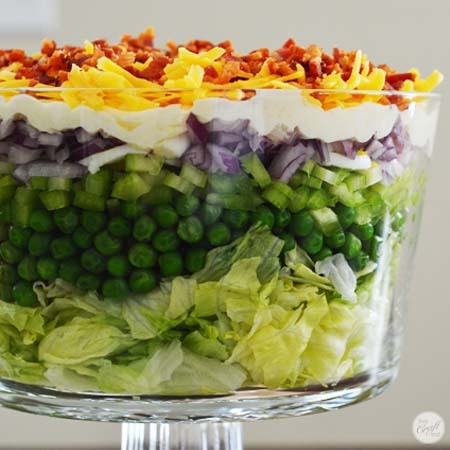 in a trifle bowl or rectangular casserole dish, layer salad ingredients in the order listed. 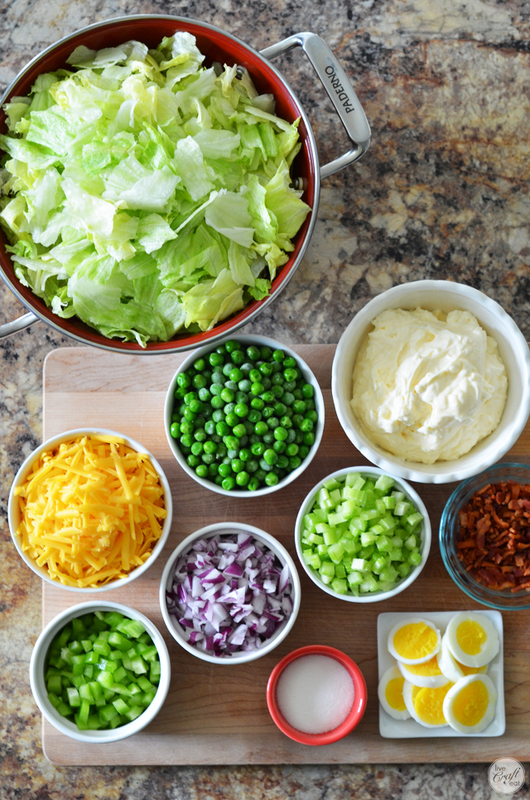 in a small bowl, combine and gently spread the mayonnaise and sugar and spread over the salad. sprinkle with grated cheddar cheese and bacon bits. refrigerate for at least an hour (preferably longer) before serving.